Overview: In a nutshell, antiques dealers purchase vintage items and re-sell them. This requires extensive knowledge in the field, including the ability to tell true antiques from fakes, knowing how much certain items are worth, and being able to sell them. Dealers may own their own shop or work with other dealers. They may work with general antiques or be specialized in certain areas, like particular items (art, furniture, coins, jewelry, etc. ), a specific time period or setting (Egyptian antiques, Victorian era items, Hollywood nostalgia, etc. ), or certain hobbies and interests (car racing, stamp collecting, fishing and hunting, etc.). Necessary Training: Most up-and-comers in this field start out in an apprentice-like position, such as being an assistant to a successful dealer or an intern in an auction house. Higher education isn’t required, though some courses (such as art appreciation, history, and business basics) can supplement one’s knowledge and skills. Self-Actualization: Those dealing with antiques are likely passionate about what they do; their job is not only a career but also their passion. Self-actualization can be threatened when that passion is threatened—say, when working for an unethical shop owner who encourages one to undervalue merchandise or knowingly sell fakes, or when one is forced to focus on an area of specialization that doesn’t pique one’s interest. Esteem and Recognition: In a career field like this, a person’s level of knowledge of their subject area can mean the difference between success or failure. When a dealer doubts their own knowledge, or when others respected in the field doubt that person’s abilities, this need can become impacted. 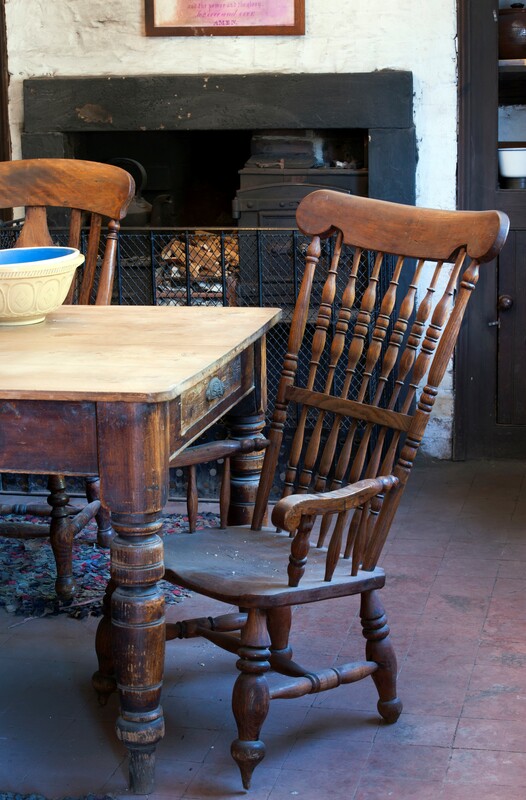 Safety and Security: Antiques are expensive, and, therefore, valuable. A dealer’s safety and security may be threatened if their collection makes them vulnerable to theft or attack by armed individuals. Because antiques are expensive, the dealer is usually portrayed as sophisticated, fashionable, and suave. What about a dealer who is slovenly and scruffy but has a keen eye for antiques and does well in the business? Also, consider how the type of antiques your dealer focuses on could set him or her apart. Rugs, furniture, and Civil War memorabilia are common specialties. But what about someone who collects ancient torture devices, artifacts associated with serial killers, or ancient items known to be haunted? It might also be interesting to have a dealer who acquires his knowledge of antiques through an unusual method. Think Connor MacLeod from Highlander, whose collection consists of the items he’s collected from his many years living as an immortal. You should do one for Pawn Shops owners.There are Pawn Shops that specialize in antiques. I would add an interest in history and historical items to the list of useful skills, talents and abilities. I work at a Pawn/Antiques shop and this is the first job I’ve had that actually makes use of my history degree. We also deal with people downsizing and getting rid of stuff, and get a lot of stuff at yard sales. My boss used to be a car salesman, which gives you an idea of his personality, but has also been collecting since he was a kid. Not the kind of guy you’d picture collecting stamps and coins!